I have been wondering since a lot of Nexus tablets and phones have been getting CyanogenMod 10 (CM10), where is the build for our new Samsung Galaxy Tab 2 7.0. Well, it is here and yes, as expected, it is full of bugs – you cannot expect a fully functional Jelly Bean firmware for the Tab 2 yet. Hello? 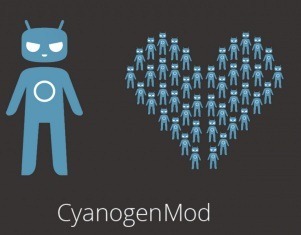 Update – CM12 is now available for it. You can get it from here. Download the builds from here (Choose the right one for your device. Builds are available for P3110, P3113 and P3100). Oldest technology website. It has lots of excellent, detailed reviews about laptops, tablets and chinese products. Extensive coverage of all generations of Apple iPhone and cydia jailkbreak tweaks. Latest XDA phone news website covering everything related to XDA and firmware updates. Copyright © 2015 Galaxytabreview.com | Galaxy Tab Review.